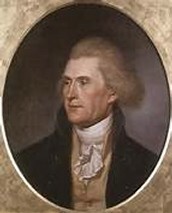 I would support Thomas Jefferson because Jefferson preferred having more of a loose confederacy instead of power being concentrated in one place with the federal government having authority over states and local governments. He also was an American Founding Father, the principle author of the Declaration of Independence. He was a spokesman for democracy and the rights of man with worldwide influence.